Planning to move your corporate headquarters, local branch or small business office into or out of the Rockford area? If you’re like most business owners or managers, you may be tempted to try to handle your commercial move on your own. After all, the company’s bottom line is paramount—and how can you be sure you’ll get a solid return on your investment in professional Rockford office movers? At O’Mara Moving, we understand these concerns, but we also have roots in the moving industry going all the way back to 1865. Based on more than 150 years of hands-on experience, here are five reasons we’ve found that a Rockford office moving company is absolutely worth the investment. If you’ve never moved physical locations before, you might be surprised just how many details have to be arranged—from the obvious ones, like the moving date and time, to the not-so-obvious ones, like optimal furniture placement and inventory tracking. By working with skilled office movers in Rockford, you won’t have to devote your valuable time or energy to mundane details. You can focus on keeping your business running and your staff happy. Best of all, because reputable Rockford office moving companies are properly licensed and insured, your corporate property will be protected in the off-chance that something goes wrong during the move—a guarantee you certainly won’t get by taking the DIY route. Cubicles may be convenient and cost-effective for your business, but they’re a huge time drain when moving day comes. Save yourself time and stress by working with professional office moving crews who know how to tear down and set up office furniture in the blink of an eye! 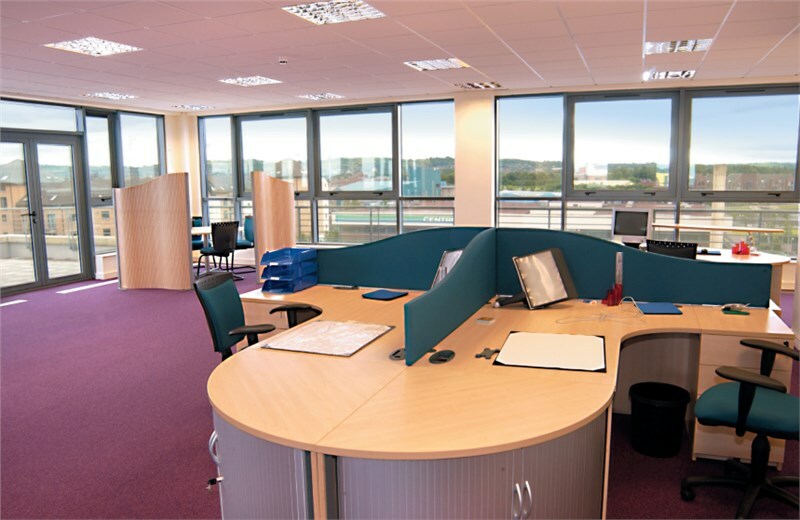 Some companies, like us at O’Mara Moving, even offer professional space planning services to help you create the ideal office layout for optimal workflow and productivity. Your employees are the heart and soul of your business, and few things are stressful and frustrating to them as piling extra work on top of their regular responsibilities. Instead of taking your employees away from the work you hired them to do, put the planning, packing, and other details into the hands of Rockford office movers. By letting your team focus on their primary job duties, you’ll not only get a more streamlined moving experience; you’ll also have a more productive and happier staff. Find Out More by Contacting O’Mara Moving Today! For an office move that’s efficient, fast, and minimally disruptive to your business operations, you need the expertise of O’Mara Moving. Whether you’re moving your office locally in Rockford or across the country, we offer comprehensive commercial moving solutions for businesses of all sizes and industries. Find out more by calling our Rockford office moving company today, or sign up for a free in-office moving quote by completing our quick online form now!